A prototype of the new headset was unveiled and demonstrated at Computex in Taipei on Tuesday during a keynote by Intel, which said it's working closely with HTC to realize the system. 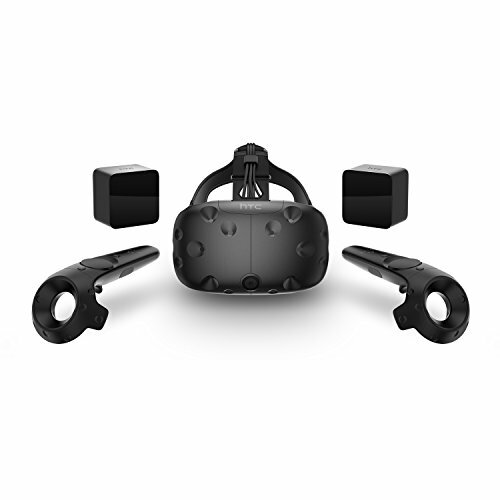 The wireless HTC Vive looked similar to today's cabled model with the addition of a box of electronics worn on the head of the user. 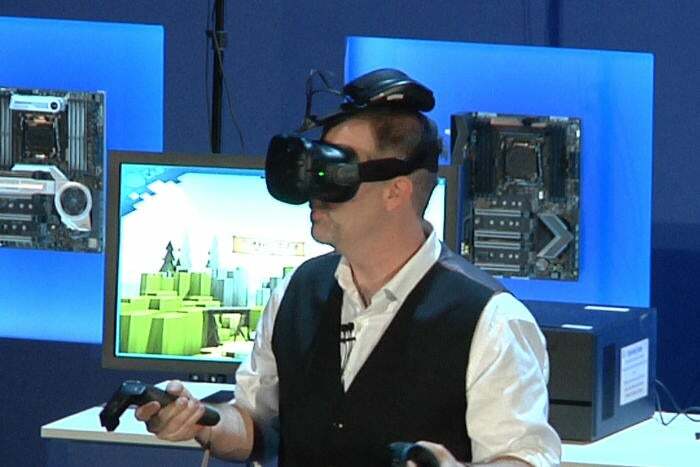 Intel didn't provide any details about the system, but that's presumably where the electronics and radios are fitted to make wireless VR possible. Intel's Craig Raymond demonstrates a wireless HTC Vive headset during a keynote at Computex in Taipei on May 30, 2017. The system was running over a wireless gigabit (WiGig) link and used the DisplayLink XR codec to provide what Intel said was a "low latency" wireless experience. Latency is the lag between when the user does something, like turn their head, and when the system and display reacts. Wireless can often introduce small delays that aren't present on cables, so keeping this low is key in VR, where any stuttering or unnatural movements can potentially cause nausea. Running an HTC Vive over wireless isn't an easy job. First-generation headsets like the Vive require a 6Gbps data stream, according to DisplayLink, and engineers have to ensure this data doesn't lag or fail as the user jumps and turns around. Wireless VR will free users from the messy and potentially dangerous cables that surround them when using virtual reality, but the price of all this fast wireless is yet to be disclosed.